Esquimalt High School was one of the first in Canada to hold student votes in federal, provincial and municipal elections. 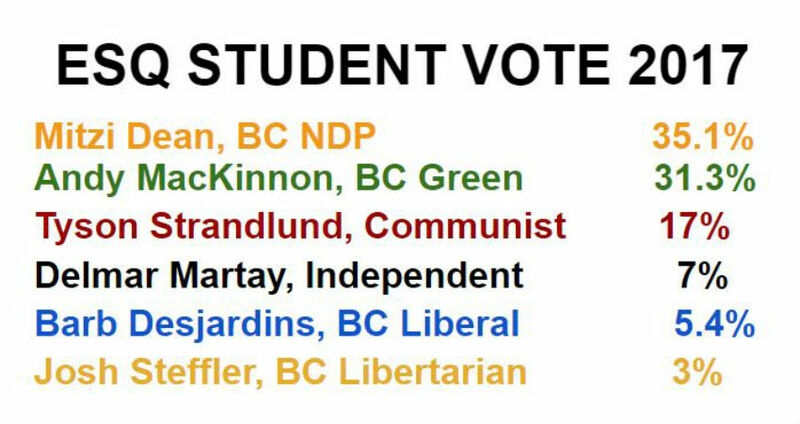 Esquimalt High School’s Political Club coordinates the Student Vote and helps students become aware of and involved in local, regional, provincial, national and international political issues. Want to get involved? Drop by the library and talk to the club sponsor, Esquimalt High School’s teacher-librarian, Mr. Orme. Or send him an email and he will put you in touch with the student organizers.